"Choose no longer between the two food titans. Yes, you can have both in one dish. Feel free to experiment." 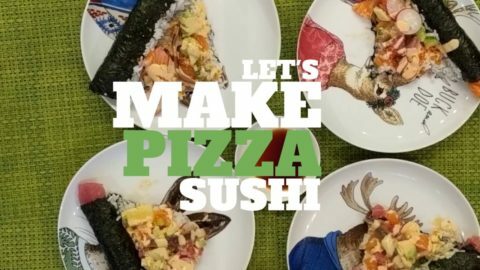 And here is my first attempt at making a ‘Sushi Pizza’. Disgusting?! Brilliant? Share your thoughts below.